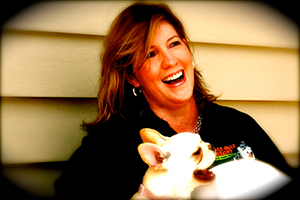 I love dogs and have worked with them in various environments over the years, from veterinarian clinics and managing a large pet store to working at the San Antonio Zoo. Until Dogs Rule Resort opened I felt every job in the animal industry was a depressing line of sick or caged animals and unhealthy puppies. This realization became an opportunity and turned into my dedication – to truly give the industry something positive by providing a fun, clean and safe environment where dogs can be themselves. Dogs Rule Resort is that place – that fun environment where dogs run, jump, bark, socialize and play all day and then sleep in their own private accommodations in the evening. My fulfillment comes from the dogs. They love it here! Most of them don’t want to leave … and all of them are excited to come back. Dogs Rule Resort has an excellent veterinarian partnership with Dr. Warren Eubank of Mobile Veterinary Services. Dr. Eubank graduated from Texas A&M with his Doctor of Veterinary medicine degree in 1987. Since graduation, Dr. Eubank has practiced in large and small animal clinics , gaining valuable skills in all aspects of veterinary medical, emergency and surgical care. Dr. Warren Eubank can see your dog while your pet is staying here at Dog's Rule Resort.